t*rexes and tiaras: you're given a flower but i guess there's just no pleasing you..
you're given a flower but i guess there's just no pleasing you.. I really love the weather at the moment. It seems to make everyone more cheerful; things just look better in the sunshine. It's also making wardrobe choices pretty easy. 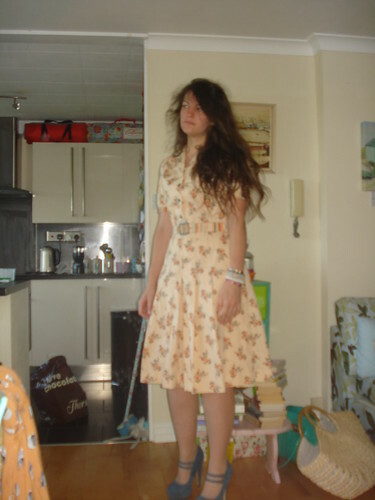 Dress? Check. Shoes? Check. Done! 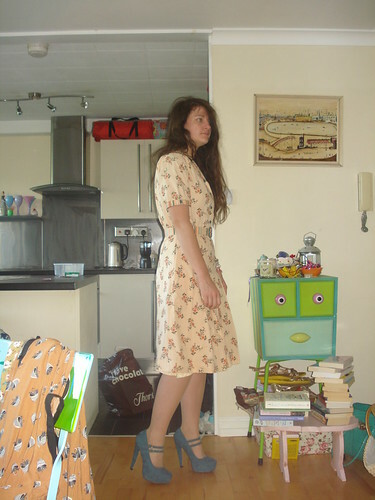 This dress is another of the ones I snapped up recently from local shop, Street Vintage. 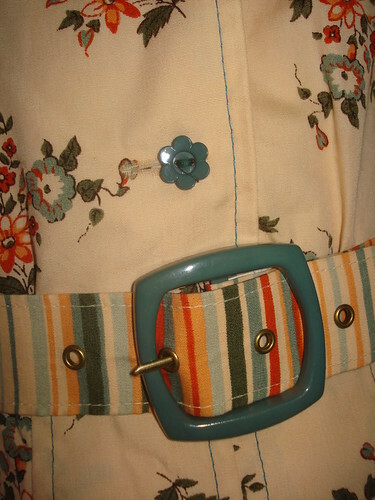 I really like the striped belt detail which seems to pull all of the rest of the colours together so nicely. This week has already started off in that mad, busy way which the end of term always seems to. Last guides meeting before the summer last night, and I don't feel anywhere near organised enough for summer camp, so I need to get on with that. I have a trip to the theatre, a district BBQ and a trip to the cute little independent cinema to look forward to this week, as well as an allotment committee meeting, plenty of spinning classes and finding enough time to water the plants at least once a day, although they probably would benefit from two waters per day whilst the sun is still so hot. I'm sure I'll fit it all in, though. Oh I like the stripe detail and those buttons! So cute. I am amazed at how much more I seem to get done in a day when the sun is shining - hope you manage to do all you need to. 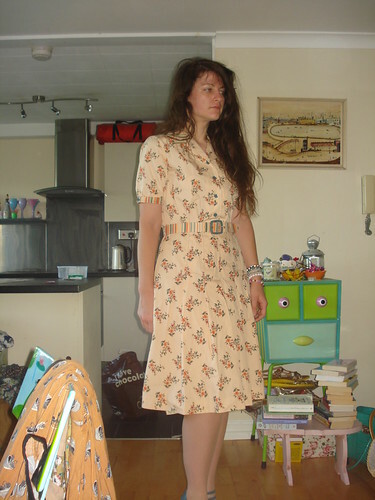 Love the buttons on that dress - really cute! I have no idea how you manage to pack so much into your weeks, I feel so unbelievably lazy in comparison! !